The third Women in Travel Meetup will host renowned travel executives debating the issues of entrepreneurship and leadership at World Travel Market London - the leading global event for the travel industry. Organised by consultancy Everyday Mentor, the Women in Travel Meetup (8 November) will also provide a platform for mentoring and networking. 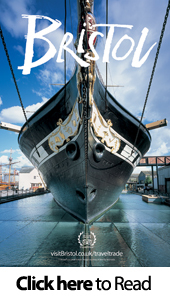 The leadership debate will take place from 1pm-2pm and will feature Sarah Haggarty Commercial Sales Director, Celebrity Cruises UK & Ireland; Rachel O'Reilly, Head of Communications, Kuoni; and Giles Hawkes, Chief Executive, Cosmos Tours & Cruises, Archers Holidays and Avalon Waterways UK. The debate will be chaired by Sylvia Weiler, Regional Vice President Sales, North America, Sojern. Alessandra Alonso - founder of the Women in Travel Meetup and Chief Mentor at Everyday Mentor - will chair the debate about entrepreneurship, from 4pm-5pm. Speakers will be women who have founded travel businesses: Natalia Komis (Iamadventures); Sarah Ismail (Tripforwellness); and Carolyn Pearson (Maiden Voyage). WTM London, Senior Director, Simon Press said: "We are delighted that so many inspiring leaders and entrepreneurs will share their expertise at World Travel Market London. "Now in its third year, the Women in Travel Meetup is building on strong foundations and offers unparalleled access to some of the most respected, successful figures in the industry today." Women in Travel's key partner is Sojern, the performance marketing platform for travel brands. PR and digital communications agency Rooster PR is the Meetup's partner PR agency. Alonso said: "I am delighted to announce Sojern - travel's leading data-driven performance marketing engine and one of the fastest growing travel tech companies - as Women in Travel's key partner for 2016. Sojern has a track record in working side by side with the industry and recognises that women make an important contribution to every aspect of the travel and tourism sector." Weiler added: "Sojern is supporting the Women in Travel Meetup at World Travel Market because it is an opportunity to inspire and empower, as well as celebrate women in the travel industry. I look forward to meeting and sharing ideas with women and men from every corner of the travel and tourism world." James Brooke, Managing Director at Rooster, said: "With female travel professionals making up such a high percentage of the industry, this initiative is so important. We're proud to be supporting the Women in Travel Meet up and look forward to helping women across the sector fulfil their career potential and reach key positions." The Women in Travel initiative, launched by Alonso in 2014, aims to create a community of thousands of female professionals, entrepreneurs and suppliers, looking for inspiration, mentoring and learning. The event aims to be the premier, international platform enabling women in the travel industry to come together and support each other. 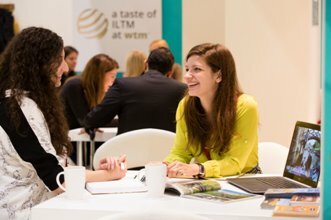 The event is open to all WTM London attendees, whether exhibitors or visitors, and women and men are invited to attend. Women in Travel will also be hosting group mentoring sessions to offer women support and advice to help them fulfil their career potential. Mentors and information on how to book a session will be announced shortly. The Women in Travel Meet up will take place from 1.30pm-6pm in Platinum Suite 3 at WTM London. 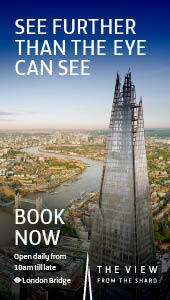 WTM London is the event where the travel and tourism industry conducts its business deals. Buyers from the WTM Buyers' Club have a combined purchasing responsibility of $22.6 billion (£15.8bn) and sign deals at the event worth $3.6 billion (£2.5bn). WTM London 2016 will be revamped as a three-day event from Monday 7 - Wednesday 9 November, with opening hours extended from 10am - 7pm for all three days.